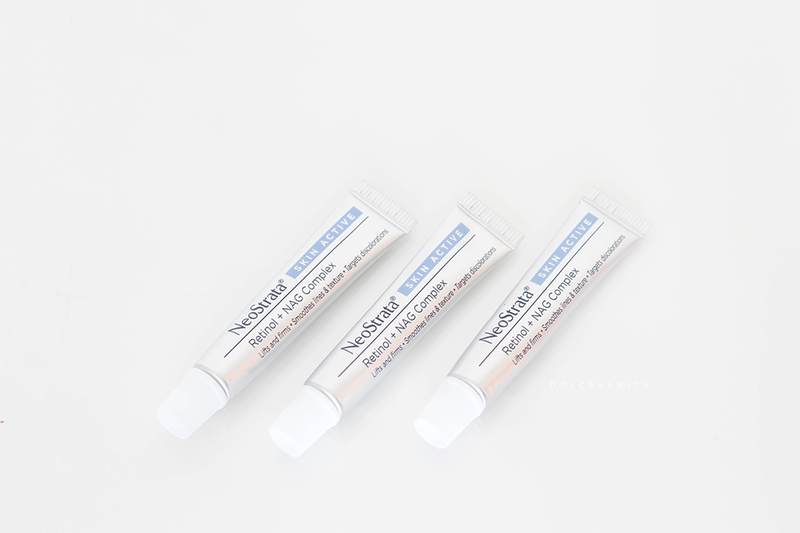 NeoStrata is a brand I’d never heard of before but since being introduced it’s now a brand I spot while on forums and products are recommended especially for those wanting even skin tone. The brand has different ranges to target specific concerns. I was so fortunate to be put on a regime at the PRs suggestion. After viewing pictures of my skin and talking about my concerns the following products were sent to me to try. For over a month I’ve been trying this to help, pigmentation, reduce any pimples, control oil and just have an all-around baby bottom smooth face. Ideal for: Acne-prone or Rosacea-prone skin. A soap free PHA foaming cleanser that contains 0.3% Triclosan, an antibacterial that reaches deep into pores to help dissolve impurities and help reduce problem-causing bacteria which can worsen conditions such as acne and rosacea. PHAs function the same way as AHA but cause less irritation and beneficial for those who have sensitive skin & may not be able to tolerate AHA. 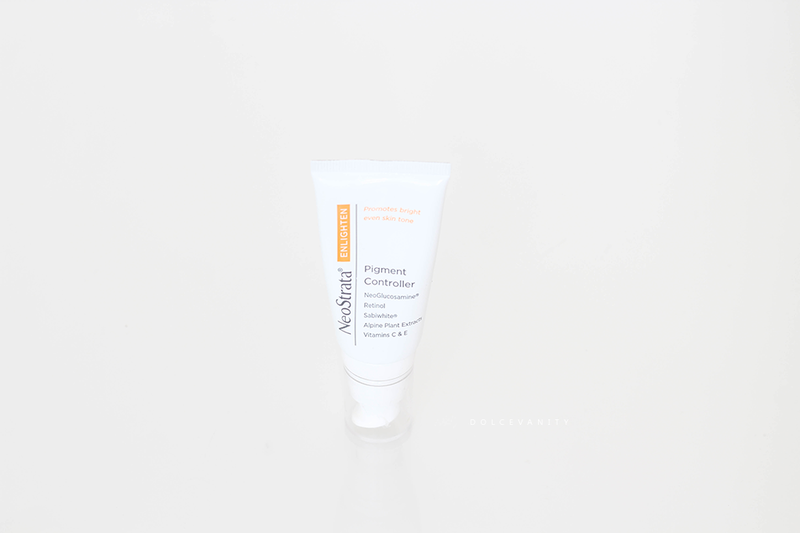 Providing anti-inflammatory and antioxidant benefits and assisting with exfoliation. This has soothing chamomile extract and Provitamin B5 to help condition skin. I did at first use this twice daily & switched to once a day, my skin was starting to get a little dry but not irritated but once I started to use a richer moisturiser and reintroduced this again twice – perfect. My skin was clean, I’ve also only had one spot since starting this, even around my cycle. Ideal for: Oily, acne-prone skin. 8% Glycolic Acid gently exfoliates, helps clear clogged pores and removes excess surface oil, sebum and other lipids present on acne prone skin. 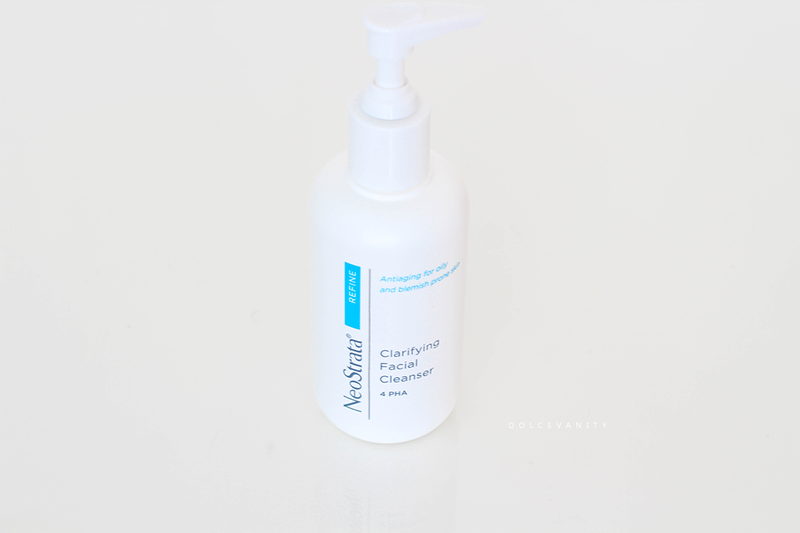 Glycolic acid is a degreasing ingredient, effective for controlling sebum production. This product I’ve seen on forums people raving about to help pigmentation as well as control oil & I can see why after I’ve cleansed, I will use this twice a day and my skin is matte but not dry or tight. It feels smooth and looks bright, I’ve experienced no tingling and it’s controlled my oil like I wouldn’t believe. Throughout the day I’m barely producing oil with or without make-up. 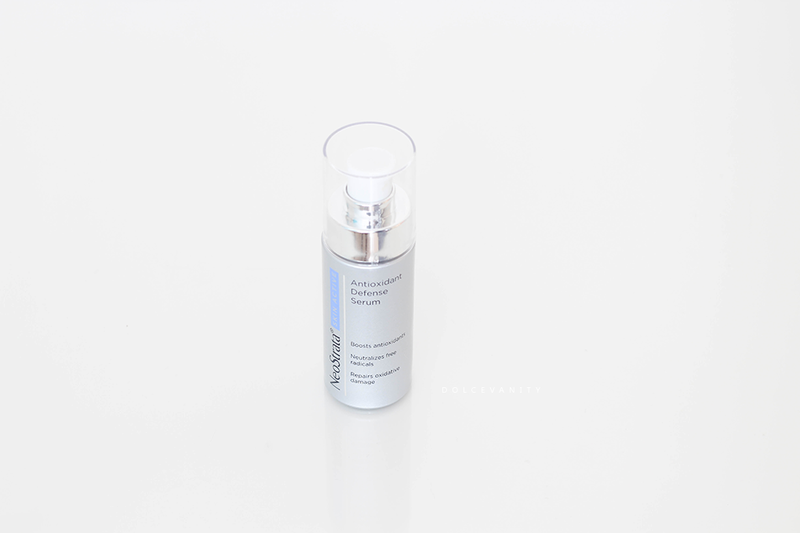 Antioxidant Defense Serum 1.0 fl oz. Ideal for: Sun damage and premature aging. Technology: Bionic and Polyhydroxy Acids (PHA), Antioxidants, Citric Acid, Lilac, Green Tea and Chardonnay Grape Seed Extracts. It’s important to have a product that’ll help against sun damage, especially with uneven skin tone because it’ll just reverse all the damage you’re working on. Chardonnay Grape Seed Extracts help preserve healthy DNA, lipids and cellular membranes, while the EGCG Green Tea Extract protects against inflammatory in the skin. After toning, I’ll use my fingertips and apply this over the face and next, I wasn’t crazy on the smell once this was being spread out but that disappears quickly. Takes a bit to absorb and it can be a little tacky but once any creams go on top that's no more. With 0.01% Retinol, stabilised Vitamin C and NeoGlucosamine a technology that gently exfoliates, encourages cell turnover, diminished the appearance of fine lines & wrinkles and exfoliates hyperpigmented spots. Alpine plant extracts and SabiWhite, a proven alternative to prescription strength hydroquinone which reports have linked it to cancer. Vitamin E protects skin and also helps even skin tone. It comes out in a yellow coloured cream that leaves no traces of it once blended in. I’ll apply it all over but especially over places where there is pigmentation. Using this daily controls pigmentation by increasing cell turnover & helps to prevent new dark spots from forming which is a good thing in my case because – a blemish means dark spots. Optical diffuser brightens skins instantly. I love using this, half way finished but goodness did it help so much. For two weeks it was advised to apply once a day so I did it at night and then twice daily afterwards. Dispensed from a needle nose applicator, it’s a fluid formula that needs to be shaken for about 15 seconds before each use (generously apply 15 minutes prior to sun exposure) to ensure uniform product consistency. It gives a broad spectrum of protection from UVA/UVB. A universal tint meaning that it’ll leave no white case or make darker complexions ashy, I haven’t experienced a white cast, the skin does appear brighter but I’m on the fence some days. It has a matt finish and can make a great base under some makeup. -_______Did you know the PA stands for how much the SPF protects you against UVA rays? The more plus symbols, the better protection. I have 3 samples of this new product from NeoStrata. it was 0.5% stabilized Retinol along with NAG to help intensify the firming effects versus using Retinol alone. 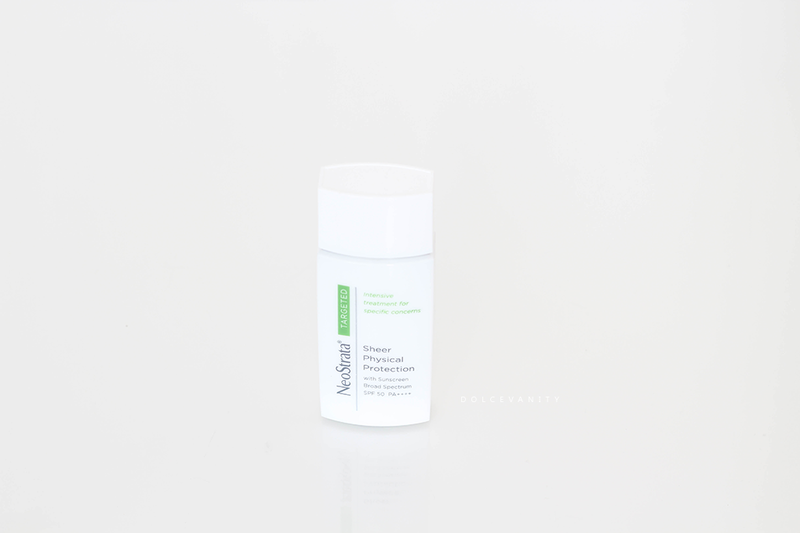 NAG or NeoGlucosamine is a gentle exfoliant that helps reduce the appearance of uneven pigment and age spots. Using this daily has become very beneficial, although it's also good for firm lines - which I don't have - it's helped my skin feel smoother being on the programme and using these products in conjunction of one another. My pigmentation has gently but quickly lightened. When I did my face one day and was speaking to someone they asked what I had done to my skin because it looked to be glowing. Well that's all I needed to be sold even more. My skin got to the point by mid October was so clear I only had to use BB cream (here). Now this isn't the cheapest of skincare regime by far but being able to trial it has helped me to pick out some items that I definitely love and feel work exceptionally well for me. I'm continuing this programme after being on it for a month a lot changed. Now I'm continuing until all is finished because ONE internal minor mishap (see it's all about diet and lifestyle too) allowed my skin to breakout *wails* so it worked once and I'm hoping the next month it'll help me once again! I've found a place within my town that sells the NeoStrata brand and even online. I'll definitely be purchasing the cleanser & toner as I love those and how clean my skin feels and appears after use. 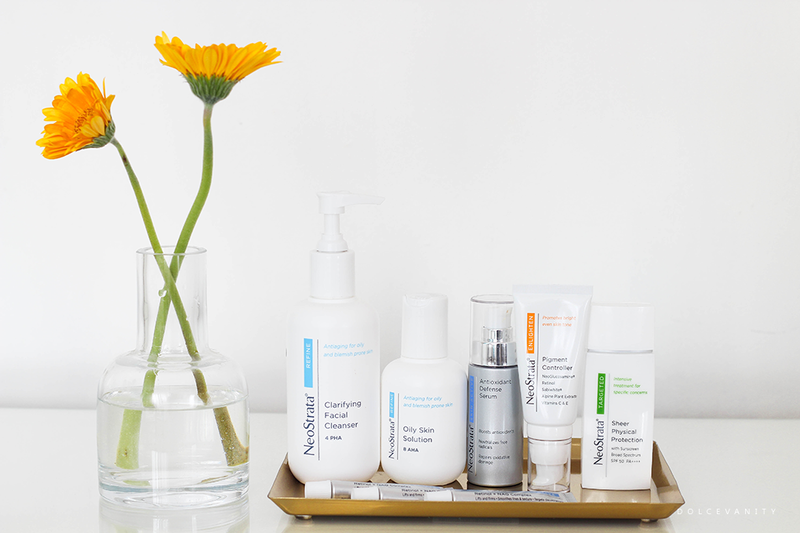 To browse and find where to purchase visit the NeoStrata website. I really need to start investing in quality products like these. I'm not getting any younger and I'm starting to show my age! Nothing wrong with showing your age lol :) but I know what you mean you want to keep that youthful, clear complexion for as long as possible. I've not heard of this brand before but all the products look and sound fab! I especially like the sound of the oily skin solution, that would be perfect for me. It's a good product, definitely recommend it. Really great line of products. What a great sounding range of products, I love that is gives you the whole regime as it can be hard to try and mix and match. Yes they put me on this regime and I was extremely fortunate. I'm still continuing because I'm aiming to correct that mishap and this hormonal breakout! I haven't heard of these before, but I really do think that quality skin care is worth paying for. These sound great. Truly is, I agree. Sometimes you really do get what you pay for. I'd be interested in the SPF 50 protection as I try to keep my face well protected at all times. It's so important but left out so often. I am rubbish at skin care, i really need to develop a routine so may have to check these out! Ah I think I spend so much time on a skincare regime than anything else. I've never tried this product before but the outcome looks great. I'll have to take a look into this product. Yes do. It's such a great investment, I'm so pleased. Definitely should try. It's also about making sure you get that SPF on to stop it getting darker. Haha, glad to be the one to introduce you to them! Ah really! Yes it will help, trying to find products for skin conditions can be hit and miss but this is worth the try! Aw, thank you - I'm so glad! Really is a great range of products. Cleanser and toner are so important, and there sound just brilliant, so good you have found them available in your town too. Thank you. Yes it's important to get that pH balance and face free of impurities. Oh this all sounds and looks like a lovely skincare brand!! I love the clean cuteness of the packaging! It's very clean, no fuss - the products do the talking. Oooh I really like the sound of this, I didn't know that about PA either! Thank you - Oh I'm glad you've been able to take away something from my blog today! Ahh this sounds like really nice stuff I love trying new skincare!